Joanna Quehenberger works as musician and certified transformational coach for artists, having graduated at Leadership that Works, partner of the International Coaching Federation (ICF). She is specified in helping people who define themselves as introverts and female artists with high sensitivity. 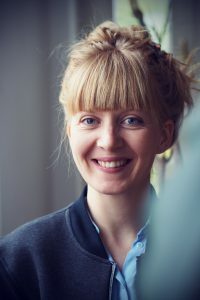 Her work focuses most around the premise of Non Violent Communication, a communication process that Joanna has been studying since 2007 and teaching since 2013. Visit www.joannaquehenberger.com for further informations or contact her via joanna@joannaquehenberger.com for a free, non binding strategy session to find out if working with her is a fit for you. Below you can read what other´s say about having received coaching and training by Joanna. "Joining Joanna's workshops has greatly enriched my emotional growth. She has an extremely good ability and intuition to sense the direction in which a emotional process can be directed, what it's about when dealing with personal issues. I felt seen by her! She is incredibly sensitive and open to what the participants bring in, flexible to change the plan. I was impressed by her empathy, mental size and heart-openness and authenticity." "I experienced the individual coaching with Joanna as very intense. She tickled things out of me that nobody else has achieved. That was partly terrifying, because it was as if she could look into my soul. I found it very exciting and interesting. The relationship of trust that I felt to Joanna was special. I have confidence in others quickly, but having other trust in me is rather something out of the ordinary. Joanna has helped me to admit my grief, not just the strength to tickle out of me, but also to let the weakness be. This is difficult for me and has hardly been done so far. I have now realized that you have to allow that. It will not happen overnight and takes time. Asking others for help is difficult for me and coaching has opened a door in many ways." "Joanna can build a remarkable depth in interpersonal contact. This depth is created because she has a presence that you do not often experience in life. When she looks at me in conversation and when I watch her talk to others, then in her eyes, in her posture, I can perceive a full presence and acceptance. She creates a protective, warm space between herself and her counterpart and finds a language that is incredibly inspiring." "Everyone who seeks in-depth contact with themselves and others, I warmly recommend Joanna's approach and professionalism." Being part of Joanna´s exercise group in Non- Violent Communication, I learn to feel deeply and to come through a careful introspection in connection with my own feelings and needs. At the same time, the group provided me with a protected framework for practicing self-expression and empathic listening. Joanna created a very personal atmosphere, in which she offered a lot of room to try things out with her extremely appreciative, accepting attitude and contributed to my learning with valuable, creative ideas. She particularly inspired me as a role model in Nonviolent Communication. Joanna started coaching me over a year ago and I have benefited from her support immensely. She has helped me get in touch with the deepest parts of myself. From that place I have generated ideas for actions I want to take to get closer to my goals. I finish sessions with her feeling more calm and peaceful with a clear idea of what I want to do next to accomplish my goals. I hope you will try connecting with Joanna and maybe benefit as much as I have. Working with you and your support in empathy and Non-Violent Communication has created many images in me and has always brought me to the inner nuclei of human exchange: needs, love and honest expression. I am infinitely grateful to you. When I visited Joanna, I was very upset by a recent event. She listened to me and helped me understand my feelings with empathy. After the session I felt safe, secure and at peace. As I continue to process what has happened, the impulses that Joanna has given me have been very supportive and still are..
Joanna is one of the most emphatic people I have ever met. It does not take many words and she recognizes the true messages from the depths of the soul. I always felt very supported and accepted in our coaching sessions, because Joanna is a very sensitive and warmhearted person. The special thing about her was this incredible way to not judge me for anything and to accept me unconditionally wihtin the coaching process. During the coaching I became acquainted with ways of solving problems which I did not experience so far and which I find extremely beneficial for my personal development. Thanks to her coaching, I have been able to gain better access to myself, interpret and classify feelings better and feel safer and stronger in many situations. "I want to acknowledge you for your honoring of and presencing of the aspect of soul in this world through your coaching of musicians and artists." "You are full of gentle, light, creative energy. I see you stepping into your light, and it inspires me to do the same." "I am happy on behalf of the world that you are a coach. Your sensitivity and gentleness is a healing balm for your clients." "Compassion is what comes to mind when I think of you. Your own journey and acts of courage allow me the freedom to be courageous and accepted for doing the same." "You are an instrument of change."